Straddling islands and lapped by the Baltic Sea, Helsinki is a uniquely attractive and interesting city to visit. Many travellers choose to enjoy the sea air and enjoy the walk along the seaside which covers around four miles (7 km), taking visitors along Lapinlahti Bay past sights like the Sibelius Monument, Seurasaari Open-Air Museum, Hietaniemi Beach, a mini golf course and Mäntyniemi, one of the official residences of the President of Finland. The best time to enjoy this stretch of coastline is on a warm summer's day. 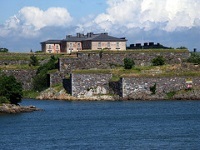 Visit the old Swedish fortress of Suomenlinna, admire the engineering genius of the Temppeliaukio Church (Church in the rock), have your picture taken in front of the Uspenski Cathedral or sip on a cup of coffee while you watch the world go by in neoclassical Senate Square. More active visitors should hire a bike and make their way around this picturesque city as it has an impressive network of bicycle routes. There are many things for kids to do in Helsinki, including visiting the Helsinki Zoo on Korkeasaari Island or the interactive Heureka Science Centre. There are many parks in Helsinki that offer space to run around in, with Sinebrychoff Park being popular in the wintertime for sledding. Pihlajasaari Recreational Park has a nice beach, but look carefully where you go, as some areas are designated for nudists. Travellers should look into buying the Helsinki Card which entitles the bearer to unlimited free travel on public transport within the Helsinki area, free admission to a number of the city's attractions, and provides discounts on restaurants and other activities around Helsinki. 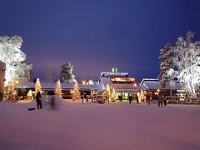 Helsinki Cards are available for 24, 48 or 72 hours and prices start from EUR 46 for adults.